In a bid to eradicate extortion by its officers, the Nigeria Police has re-launched the ‘Bail is Free Campaign’ across the 36 states and Federal Capital Territory, FCT. To ensure compliance with the directive, the Inspector General of Police, IGP, has ordered all Assistant Inspectors General of Police and Commissioners of Police to immediately ensure that bail is indeed free and that a sign in that regards is pasted in the crime branch, statement room, charge room and other conspicuous locations in all police divisions, stations and outposts throughout the country. The directive is contained in a statement signed by the Force’ Public Relations Officer, Jimoh Moshood. The statement noted that the move is a fulfilment of the IGP’s promise to reposition the force to be more accountable, responsive, responsible and reliable under his leadership. “The Inspector General of Police and management team pays special attention to issues of corruption allegations most especially as it concerns BAIL of suspects in Police custody,” Mr. Moshood said. Stakeholders and citizens were also enjoined to support the campaign with publicity and by reporting officers found culpable. 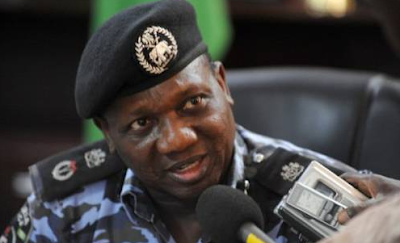 “They (citizens) are to report to the nearest Police Station the conduct of any Police Officer, Investigative Police Officer (IPO) or any other Officer that ask for money or pecuniary benefit before, during or after BAIL is granted to the Divisional Police Officers (DPOs), Area Commanders, The Command Public Relations Officers, Commissioner of Police or to the Force Public Relations Officer. “The people are encouraged to paste the sticker “BAIL IS FREE” on their vehicles, conspicuous locations and public centres to assist the Nigeria Police Force to spread this campaign.